25th December 1915: Following the evacuation, ‘an opportunity to read the many letters from friends and family that had accumulated on the island and to enjoy the Christmas fare.’ – Capt Gorman. 22nd December 1915: The Battalion collected at Lemnos, and after landing at Mudros marched six miles over stoney tracks to a camp at Mudros West (22nd Battalion tents pictured). At 11pm on the 19th December the final evacuation at Anzac commenced and by 1am only a few picked men remained who continued sniping until the last. At 2.45am the last few men of the 22nd Battalion left the front line, first fixing rifles at the loopholes with timed fuses and an arrangement of weights so that shots would continue to be discharged from the deserted trenches. For their actions 663 Sgt O’Beirne, 859 Pte Morey, 1956 Pte Skeoch, 462 Pte Smith and 1043 Pte Smith were awarded the Military Medal. 989 Pte Horan was the last of the 22nd Battalion to leave his post and was awarded the Distinguished Conduct Medal. As the last party embarked on the waiting barges, the mine at Russell’s Top was blown. The evacuation operation was easily the most successful element of the entire campaign, with casualty figures significantly lower than Hamilton had predicted. Official figures quote just three casualties. From the time of its service in Gallipoli from September 1915, the 22nd Battalion suffered 607 in casualties, of whom fifty-one died, 285 were wounded, and 271 evacuated sick. However these were just a fraction of the overall human cost of this failed campaign, with the New Zealand History estimate showing 8,709 Australians having died since the April landings, along with 2,779 New Zealanders, 21,255 British, 1,358 Indians, 49 Newfoundlanders, approximately 10,000 French, and an estimated 86,692 from the Ottoman Empire having lost their lives. 18th December 1915: By the 18th about half of the Battalion had embarked without incident, a situation repeated right up and down the coast. 14th December 1915: Situation normal, but German Officers noticed using a Sap and though a fleeting target three were hit. No Battalion casualties. Fighting strength 28 officers and 736 other ranks. 12th December 1915: Lieut-Col R.A.Crouch who had commanded the Battalion since its formation was transferred to command the Mudros Base Camp on Lemnos Island. Major R.Smith assumed temporary command. 6th December 1915: At intervals throughout the day our artillery fired at usual targets Pine, Jolly and Chessboard. Enemy plane flew overhead and dropped a bomb which failed to explode, and also a shower of darts. 3rd December 1915: Considerable movement observed in the vicinity of ‘Crater’, with enemy placing wire entanglements. Opened fire from left Coy and movement ceased. We placed entanglements in front of C Coy. Enemy artillery, bombing and sniping less active than usual. Casualties 1 killed, 1 wounded. Fighting strength 33 officers and 808 other ranks. 1st December 1915: Enemy artillery normal. Sniping less active than usual. A German flag noticed flying at house behind Turkish lines. 29th November 1915: A few hours of intense bombardment from enemy naval guns in the Dardanelles. Lone Pine suffered the most. Considering the volume of fire, damage was slight with the parapets knocked about and in some places blown in. 28th November 1915: Machine guns were fired at short bursts during the night at selected targets to prevent the water in the jacket freezing. 27th November 1915: As Gorman recalls ‘The end of November was bitterly cold, and bodies weakened by the monotonous diet of bully-beef and biscuits. Water was so scarce that snow had to be melted in biscuit tins. The machine guns were taken out of the trenches and thawed at the cooks fire. The men’s boots were now suffering from wear and weather, and frost-bitten feet caused some evacuations. 26th November 1915: Embarkation of the 7th Reinforcements from Melbourne on the HMAT A73 ‘Commonwealth’, consisting of servicemen 3001 to 3352. 25th November 1915: Following the orders received the previous day, the Turks were very curious at our inactivity, and many periscopes were observed along enemy trenches. 23rd November 1915: Our artillery shelled Turkish positions at ‘Chessboard’ and ‘Jolly’ at intervals. Enemy answered with shrapnel, but no damage. Usual sniping from both sides. Enemy landed stick bombs into support trench, no damage. 21st November 1915: Normal levels of sniping all through the day by both sides. Some artillery by both sides, not very active. Battalion casualties during the day 2 killed. Mine exploded at ‘Russells Top’, but no effect observed here. Fighting strength of the Battalion 34 officers, 862 other ranks. 19th November 1915: Following the recent storms that hit the peninsula supplies arriving from Egypt by sea are reduced, including water resulting in a halving of the rations for the men. 4th November 1915: Turkish attack. Activity primarily mining and counter-mining by both sides with little damage done. Sniping was becoming a fine art, and most of the casualties by the Battalion were head wounds caused by sniping. 30th October 1915: The day after the mine incident General Birdwood (Commander of the Anzacs in Gallipoli), General Legge (Commanding Officer AIF 2nd Division) and Brigadier Browne (Commanding Officer 6th Brigade) visit the Battalion lines. 29th October 1915: The static nature of trench warfare during the First World War meant that soldiers in the front line faced constant danger not just from in front and above, but also from below. Tunnelling and the exploding of great mines became a major weapon during an attack, as well as creating psychological terror for soldiers sheltering in their trenches and dugouts, by all sides both along the Western Front and on the Gallipoli peninsula. In Gallipoli a tunnel had been excavated under the Turkish trenches in front of the line held by the AIF 22nd Battalion at Johnston’s Jolly. At about 3pm on the 29th October the mine was blown, however as the explosion did not break through satisfactorily to the open air or into the enemy’s workings, the poisonous gases left by the explosion remained in the tunnel endangering the life of anyone who entered it. This tragically proved to be the case on this occassion when Lieutenant Bowra of the 4th Field Company went below before the fumes had cleared and was asphyxiated. Lieutenant Bazeley of the 22nd Battalion and Sapper Currington of the 4th Field Company went down with a rope. They found Lieut. Bowra collapsed but before they could rescue him both were overcome. Lieut Bazeley had barely the strength to climb the ladder and Spr Currington began to climb and fell back. Major Newcombe and Lieutenant Thom were summoned from the 4th Field Company’s H.Q. and Lieut Thom refusing to be tied to the rope, went down but collapsed before he could save Lieut Bowra. Privates Good and Stelling of the 22nd Battalion also went to the rescue but as with Thom and Currington were overcome. For their gallantry during the operation the 22nd Battalion’s Lieutenant Stewart (pictured seated on the left) and Lieutenant Bazeley received Military Crosses, a Distinguished Conduct Medal was awarded to Private Kruger, and Captain Rodda (pictured above) and Private Wilson were Mentioned in Despatches. To read their citations for bravery click on their individual links. Also during the day there was heavy shelling for 22 minutes. Parapets were damaged, and one box of bombs exploded, but no casualties as a result of this action. 27th October 1915: About 50 shells fall on the Battalion lines in seven minutes, with the deaths of 411 Cpl Keast and 470 L-Cpl Symmons, and four other casualties. Elsewhere, the embarkation of the 6th Reinforcements from Melbourne on the HMAT A38 ‘Ulysses’ – the ship that carried the first contingent of the 22nd Battalion in May – consisting of servicemen 2554 to 2903. 25th October 1915: Rain all night – trenches and parapets very slippery and sloppy. About 30 shrapnel shells fired at the Battalion lines, but no casualties. Our ships guns responded. The 3rd Reinforcements recently arrived from Egypt are Taken on Strength. 17th October 1915: 22nd Battalion lines are heavily bombarded by Turkish artillery. 500 Private Davis is killed, and the Battalion’s parapets are much damaged. British ships guns responded. 16th October 1915: Heavy 75 and shrapnel artillery bombardment from enemy trenches. It lasted 25 minutes, but no casualties. 11th October 1915: On the night of the 11th/12th a reconnoitring party of three men was sent to investigate a potential Turkish stronghold known as the ‘Crater’ thought to be filled by many enemy soldiers. Upon investigation it was found not to be the case and as result a planned and potentially costly attack across no-mans land was deemed unnecessary. 1149 Corporal RG Stone, Distinguished Conduct Medal, and 695 Private H Smith, Military Medal, became the 22nd Battalion’s first recipients of awards for gallantry during the First World War. Corporal Stone would later be killed in action in Pozieres on the Somme in July 1916, also becoming the Battalion’s first recipient of an award to be killed during the Great War. 7th October 1915: Demonstration from AIF 1st Division, and Turks respond on the 22nd Battalion line using gas bombs. 5th October 1915: Following on from the bombardments of the previous days, Turkish troops mount an attack, but without causing serious damage. 4th October 1915: Largest artillery bombardment yet by the Turks on the 22nd Battalion lines. Parapets are much damaged, but only one casualty wounded. On the hospital ship Privates Rhodes, Durance and Grant die from their wounds. The end of September and the beginning of October brought severe heat in Gallipoli. Dysentery was prevalent, and general health suffered. Clothing was reduced to a minimum and many wore their equipment over bare skin. Flies were plentiful and it was difficult to pass food from hand to mouth without their contamination. However the trenches were always kept scrupulously clean. As Gorman wrote ‘The [22nd] Battalions comparatively low sick-rate is ascribable to the strict sanitation enforced’. 27th September 1915: Embarkation of the 4th Reinforcements from Melbourne on the HMAT A20 ‘Hororata’, consisting of servicemen 2101 to 2325. 22nd September 1915: Generals Birdwood and Legge come through the 22nd Battalion trenches and advised fewer men on posts. Proposed to have 479 men in the firing line, 85 in support, rest of the Battalion, 439 in details and fatigues. 18th September 1915: Severe bombardment of the Battalion lines followed by rifle demonstration and shining bayonets by Turks. Worst day so far for the 22nd Battalion as there are ten casualties from the shell fire, and parapets destroyed. Privates Elliott and Watkins are killed and buried by the Chaplain. 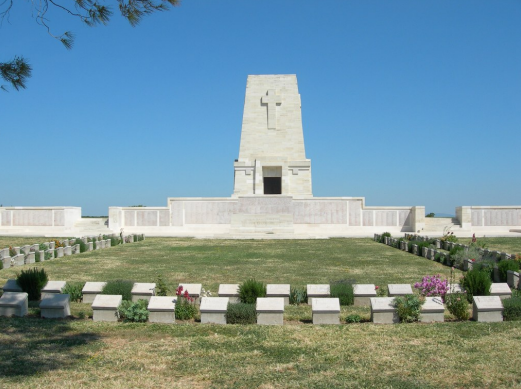 The same day Privates Bellesini and Marsh die from their wounds on board the hospital ship and, as was frequently the case for those that died of their wounds at Gallipoli, are buried at sea and commemorated on the Lone Pine Memorial. 13th September 1915: the first day with more than one death in the Battalion: 1690 Pte A.J. Hotham (D Company) shot through head through defective sandbag two below the parapet; 797 Pte R. Cobham dies of sickness in Egypt. 12th September 1915: 608 Private P. Gaunt of ‘C’ Company is wounded by shrapnel in the abdomen and buttocks. He is transferred from No.3 Dressing Station to hospital at Anzac where he dies later that day from his wounds. Pte Gaunt was the first from the 22nd Battalion to die in Gallipoli. Elsewhere, behind the front line Chaplain Bennett abandons his church service as there was no attendance – none of the Battalion could leave the trenches. 10th September 1915: Commanding Officer inspected trenches carefully from a sanitary standpoint. Some firing from enemy guns, around 20 rounds. 8th September 1915: Order received for the 22nd to take over 12 posts further right occupied by the 25th Battalion. Heavy shrapnel at night. 7th September 1915: Shrapnel falls onto the Battalion trenches but no reported casualties. 6th September 1915: From 2.30am to 6am on the morning of the 6th September the 22nd Battalion (photographed below) walked the two miles to the front line, the 23rd Battalion having preceded them and the 24th following later. Many dead bodies were seen along the way and once at the front line more bodies from both sides were seen in no-man’s land from the attack some three weeks earlier. The stench and flies greeting the men was awful. 5th September 1915: Shortly after midnight the 22nd Battalion first sighted Gallipoli and the ridges of Anzac. A cruiser was firing broadsides into Achi Baba, and as the ‘Osmanieh’ drew closer the sound of rifle and machine gun fire could be heard. As the lighters came alongside to take the men ashore a stray bullet wounded a private in ‘A’ Company, the Battalion’s first battle casualty. Guides were waiting on the beach and led the Battalion to Rest Gully. 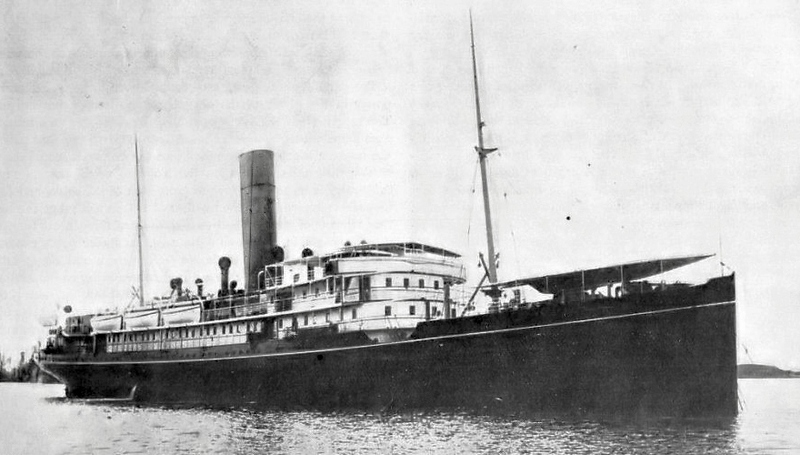 4th September 1915: At 6.30pm, the ‘Osmanieh’ pulled in and took the 22nd Battalion on board, destination Anzac Cove. Iron rations and ammunition had previously been issued. Submarine guards were posted and plentiful, and stringent orders were issued against smoking and lighting matches. 2nd September 1915: The 22nd Battalion reaches the Greek island of Lemnos. Landing officer arrived with papers and reported that HMT Southland with 2nd Divisional HQ, 6th Brigade HQ had been torpedoed by a submarine. 31st August 1915: Ships routine all day – examination of arms, lectures, sharpening of bayonets, examination of rifles. Boat station drill in case of submarine attack. 30th August 1915: The train was boarded at Zeitoun and journeyed to Alexandria. At 3am the 22nd Battalion was on board the ‘HMT Scotian’. 26th August 1915: Embarkation from Melbourne on the HMAT A68 ‘Anchises’of the 3rd Reinforcements 22nd Battalion consisting of servicemen 1876 to 2064, destination Egypt. 19th August 1915: At their training camp in Egypt, the 22nd Battalion AIF received its first and second reinforcements that had just arrived from Australia. 16th July 1915: Embarkation of the 2nd Reinforcements from Melbourne on the HMAT A64 ‘Demosthenes’, consisting of servicemen 1651 to 1807. 28th June 1915: Embarkation of the 1st Reinforcements from Melbourne on the HMAT A35 ‘Berrima’, consisting of servicemen 1502 to 1650. 10th June 1915: At about 9am the disembarkation of the 22nd Battalion commenced and at midday it entrained for Zeitoun, via Cairo. For four hours they traveled through the irrigated lands of the Nile before detraining at Zeitoun and marching into camp at Heliopolis. 9th June 1915: The Ulysses with the 22nd Battalion entered the Suez Canal. As there was the possibility of being sniped at by Turks from the shore, steel plates and sand bags were taken on board and cover was built around the bridge. At 6pm the ‘Ulysses’ reached Alexandria. Shore leave was taken by most of those on board. 3rd June 1915: On board the Ulysses the 22nd Battalion reach the Gulf of Aden and the towering cliffs of the Arabian coast are sighted. 25th May 1915: For the 22nd Battalion en-route to Egypt, Ceylon was sighted and the ‘Ulysses’ anchored at Colombo. No evening leave was granted, but a few dared to slide down the ropes before disappearing into the night. As Gorman wrote, many a ficticious name and number was given to the gangway guard on return! 22nd May 1915: The first death in the Battalion occurs at sea and was that of 207 Private W.A.V. Matheson, ‘A’ Company, an 18 year old boundary rider from Yarrawonga who died of pneumonia. Pte Matheson was buried at sea with full military honours that day, and is commemorated on the Memorial situated within Chatby War Memorial Cemetery, Alexandria. 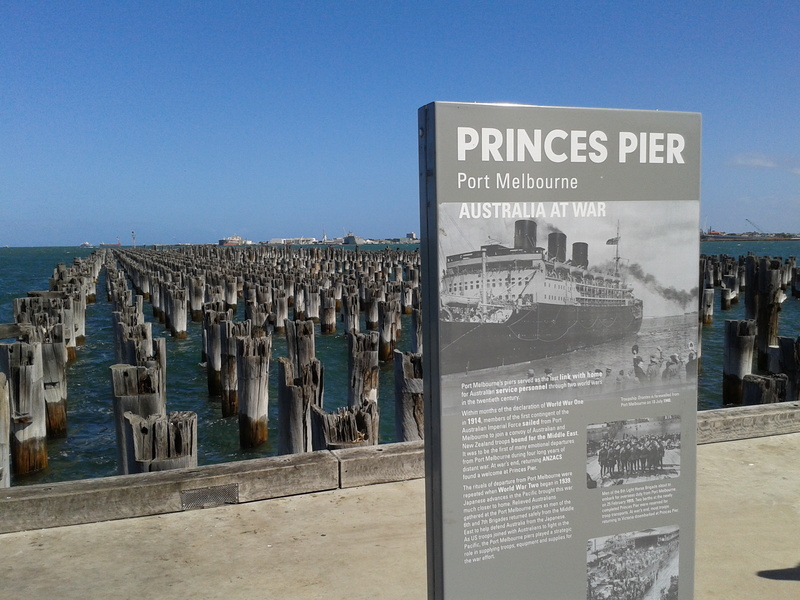 8th May 1915: At 2.30pm the 1,000 men of the 22nd Battalion marched to Broadmeadows Station and entrained for Port Melbourne for embarkation on the transport HMAT A38 Ulysses. As Gorman recalls, a great crowd of relatives and friends had gathered to witness the departure, and progress from the station to the pier was difficult, even in single file. By 5.30pm the 21st and 22ndBattalions along with 6th Brigade Headquarters were aboard. The ship sailed at 6pm with Lieut.-Colonel Crouch Officer Commanding Troops and Major Robert Smith 2nd in command. Captain A.R.L. Wiltshire was the Ship’s Adjutant. The following day at sea the ‘Euripides’ was sighted with the 23rd and 24th Battalions on board, and the two boats conveying the 6th Infantry Brigade made the voyage to Egypt and the Great War together. 3rd May 1915: For the men of the 22nd Battalion training at Broadmeadows Camp, four days furlough is granted in light of the pending departure for Egypt. 4th April 1915: The 22nd Battalion first parade was held. Colonel Crouch announced the regimental motto ‘Wipe out the bloody Germans’. The motto caused some controversy in its bluntness, but in the shorten form W.O.T.B.G. the motto was soon on peoples lips and formed part of the chorus of the regimental song. 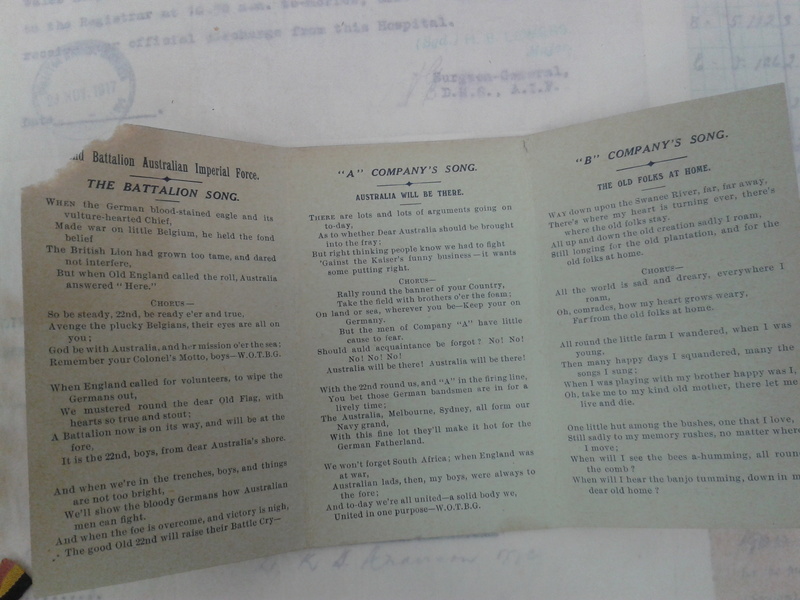 It can be seen on the cover of the Battalion newspaper in 1918 right through to the end of the war. The following month was devoted to strenuous training in drill and weaponry. The Battalion was also reviewed by the Governor-General, Sir Ronald Munro-Ferguson. 26th March 1915: The 22nd Battalion is officially formed and men, many of whom enlisted in late 1914, were drafted from the Depot at Broadmeadows Camp. Lieut.-Colonel R.A.Crouch, V.D. was placed in command, bringing with him twelve officers from his Citizen Force Battalion, the 56th Infantry known as the ‘Yarra Borderers’. The Unit was then, and continued to be with the exception of one reinforcement draft, purely Victorian. Many of the original men had been accepted as Light Horsemen, thus the Battalion benefited from the addition of this talented group of soldiers. 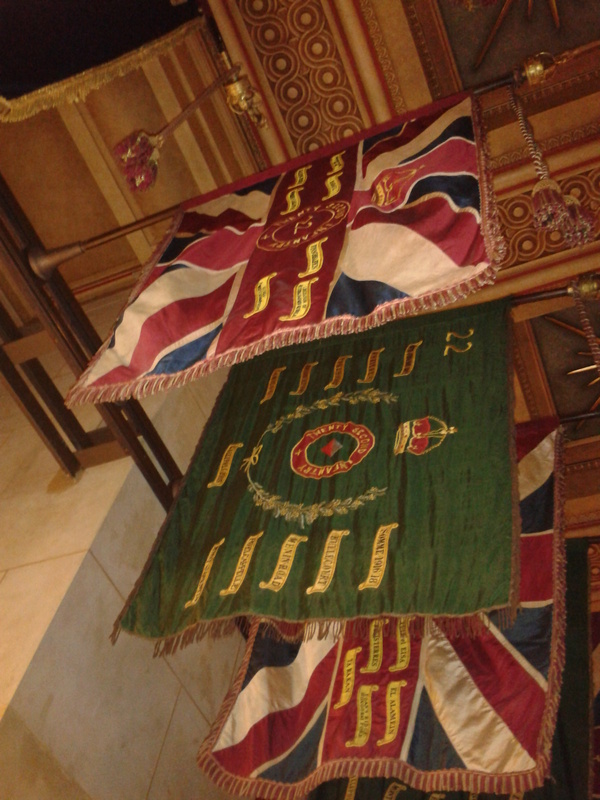 Photograph: 22nd Battalion Colours in the Crypt of the Melbourne Shrine of Remembrance. 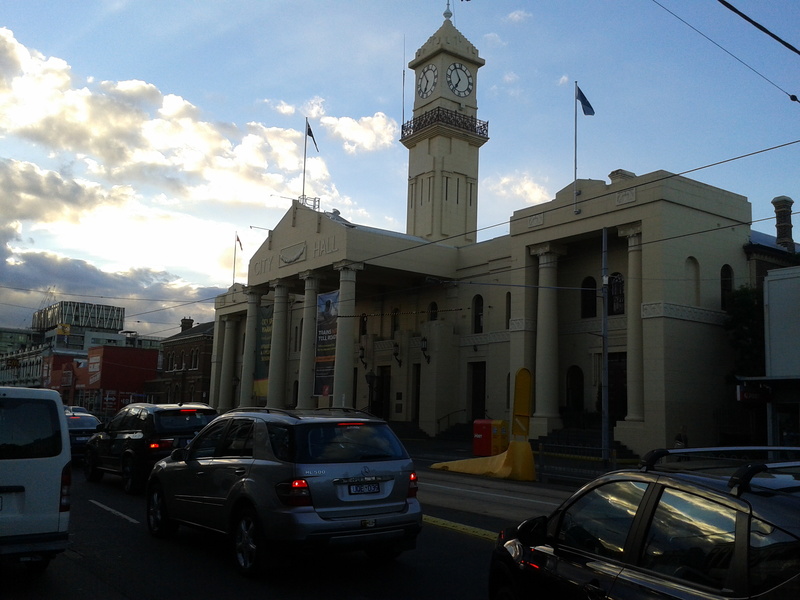 14th August 1912: The inauguration ceremony was held at the Richmond Town Hall for the 56th Infantry, Yarra Borderers. Major RA Crouch was placed in command. The Yarra Borderers were part of citizen army to protect Australia, but with an understanding that they may be called upon for overseas duty to protect other parts of the Empire.